Praying is a spiritual activity. Praying is your heart speaking directly to God’s heart. When you pray a miracle happens; you feel revived. 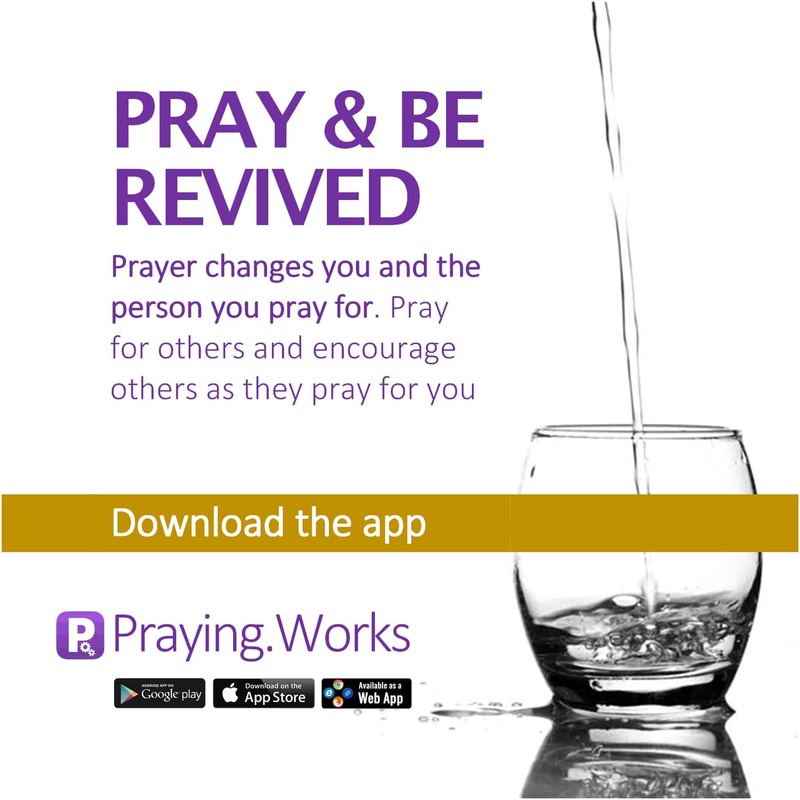 So we choose to Pray and Be Revived. NB: Vision 2025: The Bible will be translated into every major language on earth; over 80% of everyone on earth will have a smartphone and Praying.Works will be available in every major language.